What are the most popular things to do in Zimbabwe? 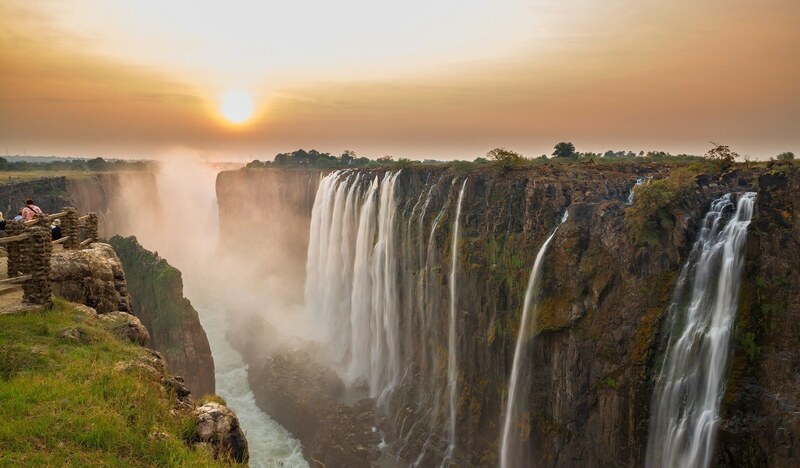 From Victoria Falls tours to safaris in Hwange National Park, our destination experts share their personal favorites. 1. 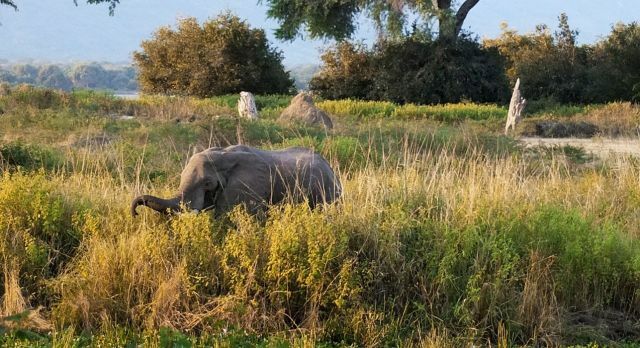 On a Zimbabwe safari in the Gonarezhou National Park, you can look forward to huge elephant herds. Buffaloes and predators – such as lions and leopards – are also represented. Gonarezhou is part of the Limpopo Transfrontier Park. 2. Nyanga National Park covers over 47,000 hectares in the Eastern Highlands, and is a perfect spot for trekking enthusiasts. The park is dotted with rivers and waterfalls, and holds a plethora of wildlife, including zebras, antelopes and waterbucks. 3. Large elephant and buffalo herds await you during your safari in Hwange National Park. Kudus, waterbucks, impalas, hyenas and giraffes also teem the park’s wide savanna landscape. 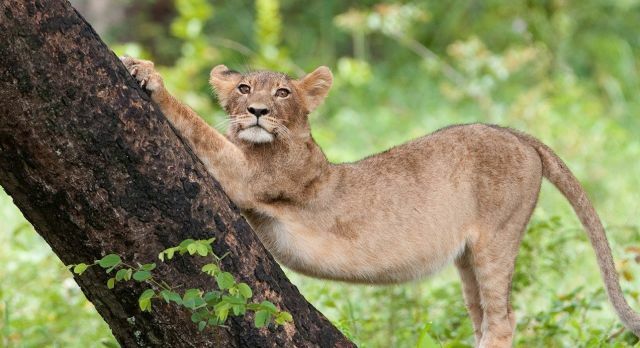 With luck, on guided bush walks you can witness lions, cheetahs or leopards at close range. 4. In Matusadona National Park, on the edge of Lake Kariba, you can experience Zimbabwe safaris in pristine, lush green scenery. The rivers and lakes offer crocodiles and hippos a home, while on land there are hungry lions and the rare black rhino. 5. On canoe safaris at Mana Pools National Park, you can experience the rich wildlife of one of Africa’s most impressive parks. Watch elephants, buffaloes, zebras and predators drinking at the river, and experience the glowing sunset over River Zambezi. 6. Millions of years old granite hills alternate with soft green landscapes in Zambia. The Matopos National Park is one of the most scenic parks in the country, with its strong contrasts, and is home to thousands year old rock paintings. 7. The impressive city of ruins of Great Zimbabwe brings the history of the country to life. The former capital of the Munhumutapa Empire flourished from the 11th to the 15th century and today is a UNESCO World Heritage site. 8. The Khami ruins are also part of UNESCO World Heritage, and are the second-most important archaeological site in the country. The remarkable artistic stone walls with their picture-beautiful patterns were created by a special pree-historic construction method. 9. Take a helicopter flight over the mighty Victoria Falls to experience one of the most imposing natural spectacles of the world from a bird’s eye view point! 10. The modern capital of Harare is popular among travelers, especially due to its colorful markets and excellent museums, including the famous National Gallery of Zimbabwe. No matter what corner of the earth it is, our Africa specialists will make your dream trip a reality. Enchanting Travels is your travel agent for exclusive Zimbabwe safaris and tailor-made Zimbabwe tours.